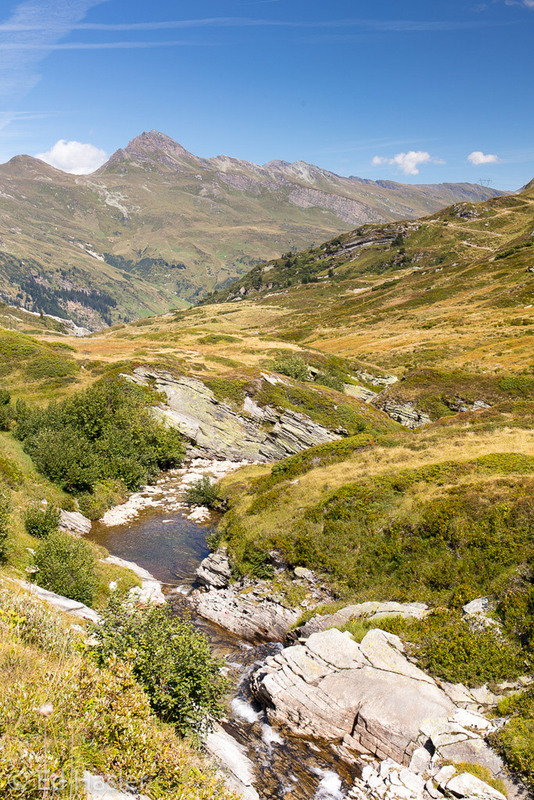 So when I was planning a 10 day driving trip for August/September 2018, I decided spend more time in various Alpine locations so I could do more photography. Instead of just driving, I wanted to be in the right place at the right time for the best lighting conditions. This blog is going to be slightly different to reviews of other trips I’ve done, and will mostly focus (excuse the pun) on the photographs I took rather than a day-by-day description of the route. The trip started like many others before it, with an overnight stop in Reims. 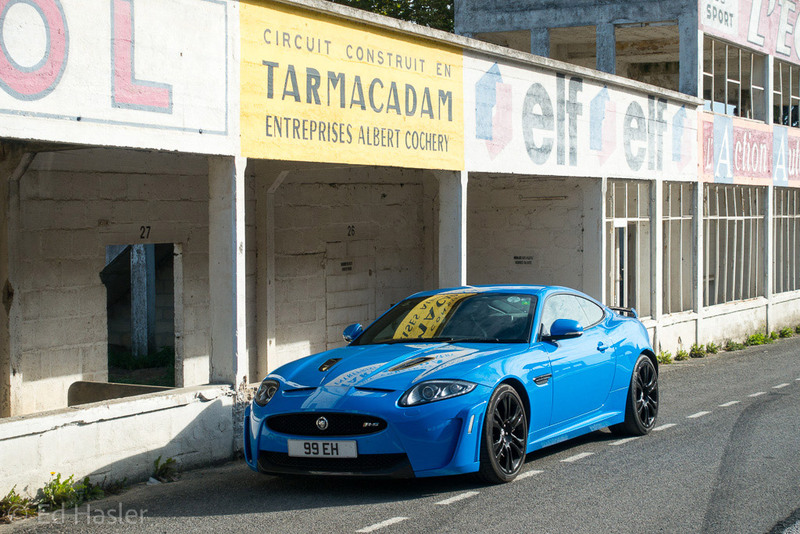 It has become a tradition for my driving trips, and makes a convenient starting place after crossing the Channel from Folkstone to Calais. 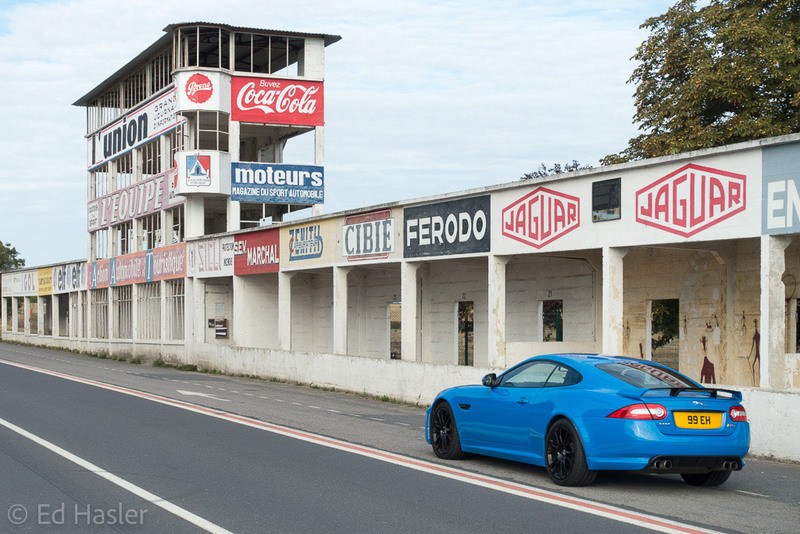 It’s also where you can find the old pit lane used as part of the old Reims-Gueux motor racing circuit which was first used in 1926, and was active until 1972. 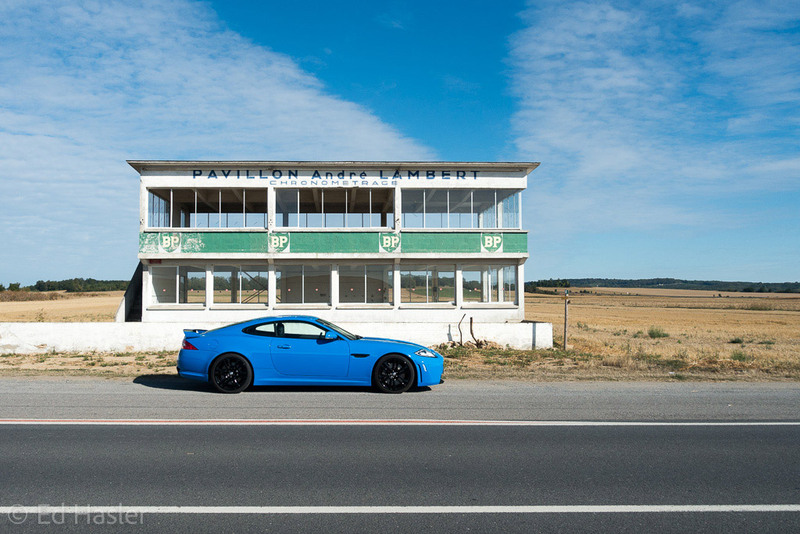 Although I’ve been here a number of times, there is always something new to discover and I spent an enjoyable hour or so taking some photos of the pits and my car. After an enjoyable hour taking photos, it was time to hit the road! 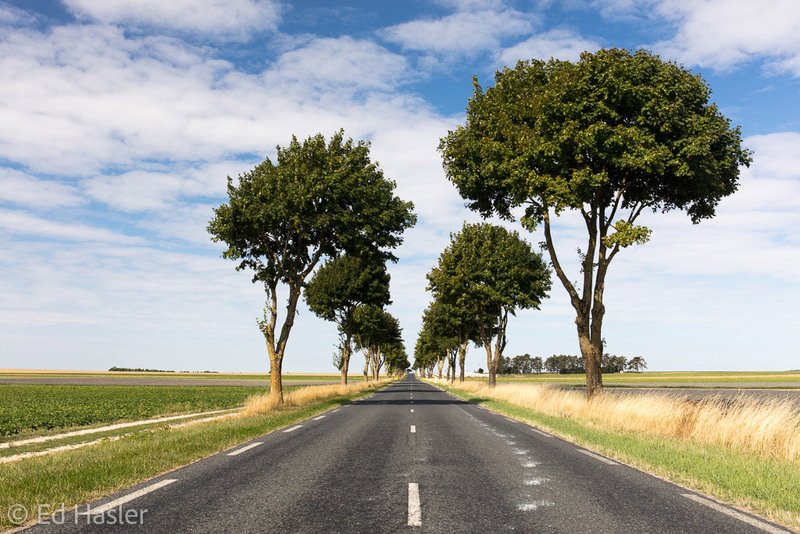 My route took me across the D931 towards Verdun, which is part of the La voie de la Liberté (Liberty Road) which marks the route the Allied forces took from D-Day in June 1944. I’ve used this route a few times now, and enjoy it for a number of reasons. 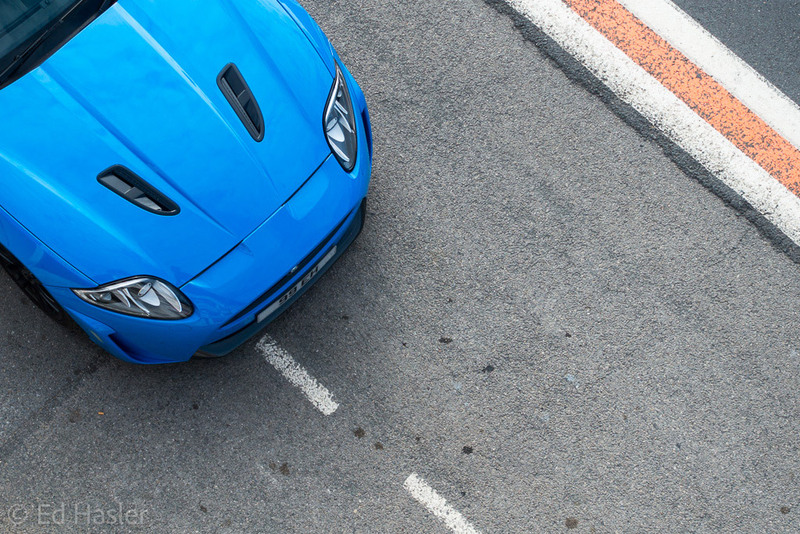 Firstly it makes a nice change to get onto some enjoyable French back roads, rather than the motorways. And secondly I think it’s important to reflect on the sacrifices made by so many people during the two World Wars in this area. There are quite a few cemeteries along this route, commemorating soldiers from various nationalities, and I always stop and reflect. After a day of driving through France and the Black Forest in Germany, I stopped for the night at a rather cool hotel which had its own brewery! Or maybe the brewery had its own hotel – either way, it was a nice place to stop for the night. 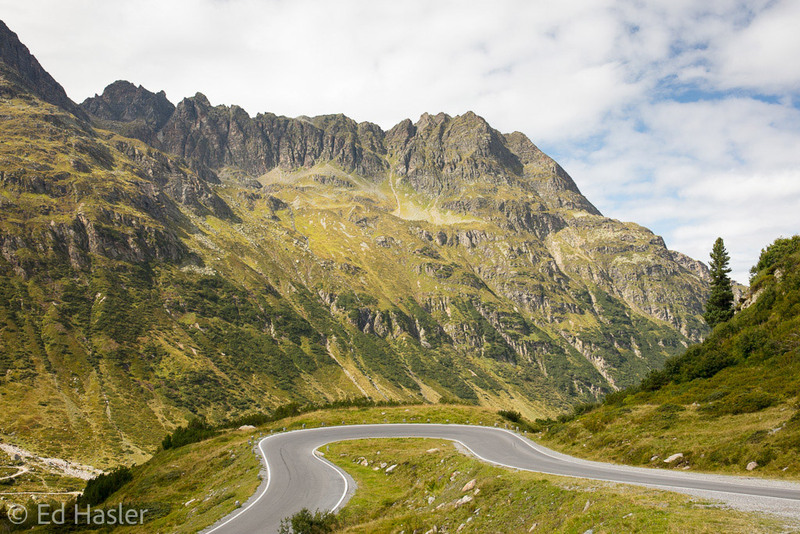 The following day I headed off towards Austria, and to drive one of my favourite passes – the Silvretta Pass. I like this one for a couple of reasons – firstly it’s a bit out of the way, so is less busy than many of the more popular passes. And secondly it means I get to drive through Ischgl, where I have a lot of good memories from many ski trips over the last decade. 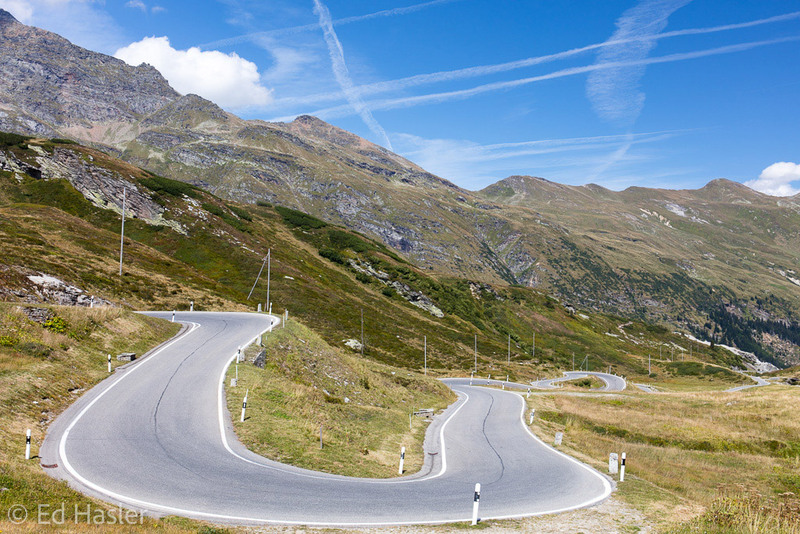 Oh – and it’s also a really good pass to drive, with some amazing scenery! 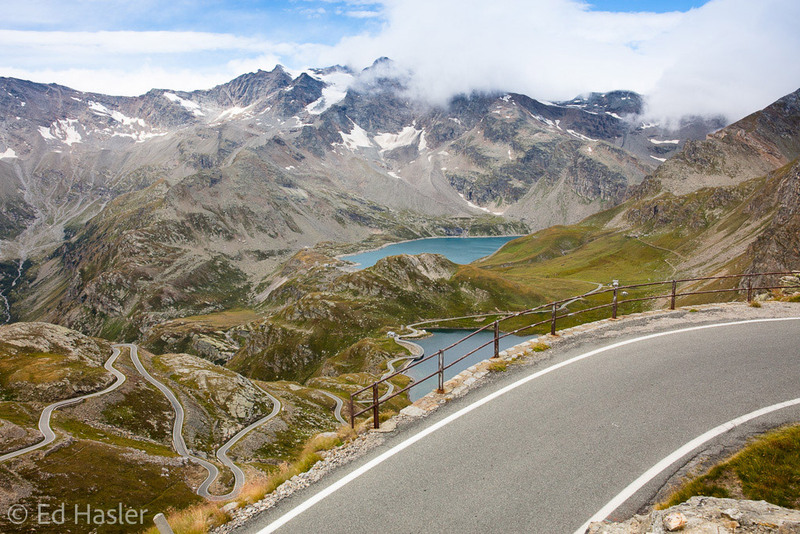 My next stop, and home for the following two nights, was the top of the Stelvio Pass. I’ve driven up and over this pass a couple of times before, but never spent much time there with my camera. I had seen some nice shots at night with light trails of cars driving up and down the pass, so wanted to try and take my own version. I was however a little nervous about heading up there, as according to their webcam it had snowed up there a couple of days before. Given this was August I hadn’t packed much in the way of warm clothing, and also didn’t relish the prospect of being stuck up there with my Jaguar sports car, which isn’t really ideal for snowy conditions. Fortunately, by the time I got there it had melted, and weather conditions were perfect. Over the next couple of days, I managed to get some sunrise and sunset shots which involved some early starts, and standing around in the cold – but hopefully you’ll agree the results are worth it. One problem I encountered was that once the sun starts to set, very few people drive up or down the pass – which makes it hard to get decent light trails. I ended up having to use a couple of ND filters to extend my exposure to 3-4 minutes, and even that wasn’t quite long enough. 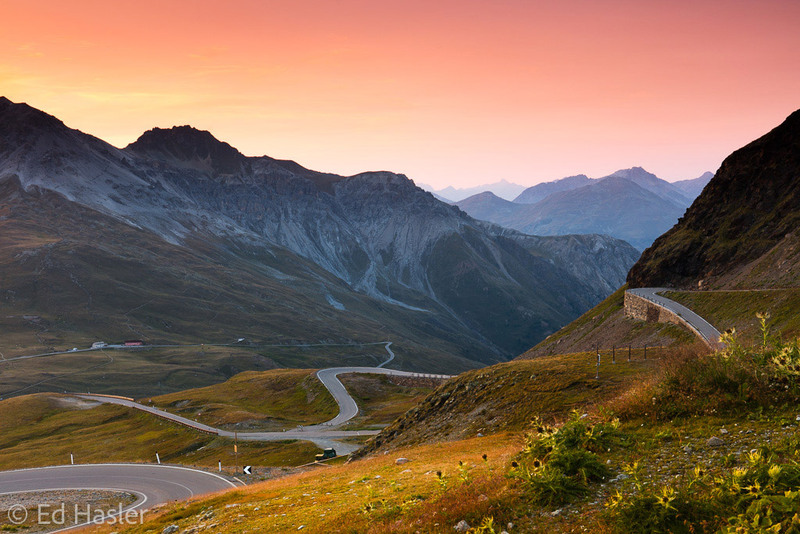 Being based at the top of the Stelvio Pass for a couple of nights meant I could spend some time exploring the nearby roads. 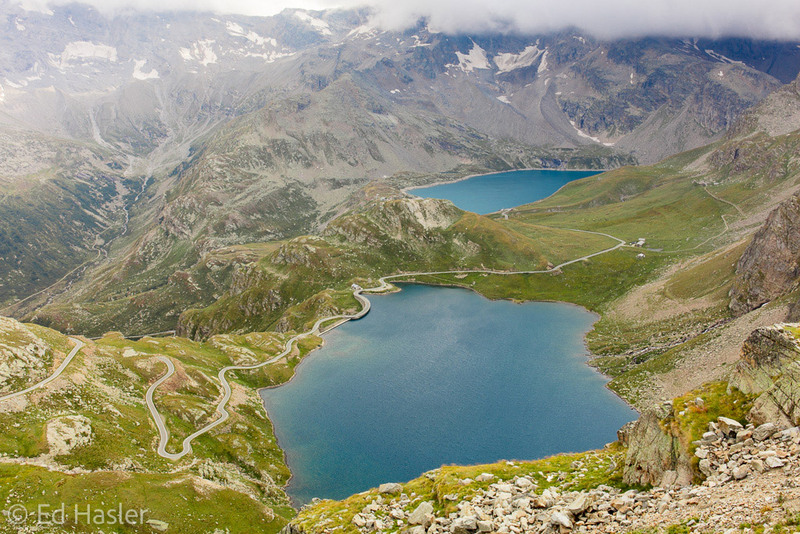 One pass which I had enjoyed a few years ago was the Gavia Pass, so I headed up there again. This time, I spend an hour or so exploring the scenery near the road as it’s beautiful up there. 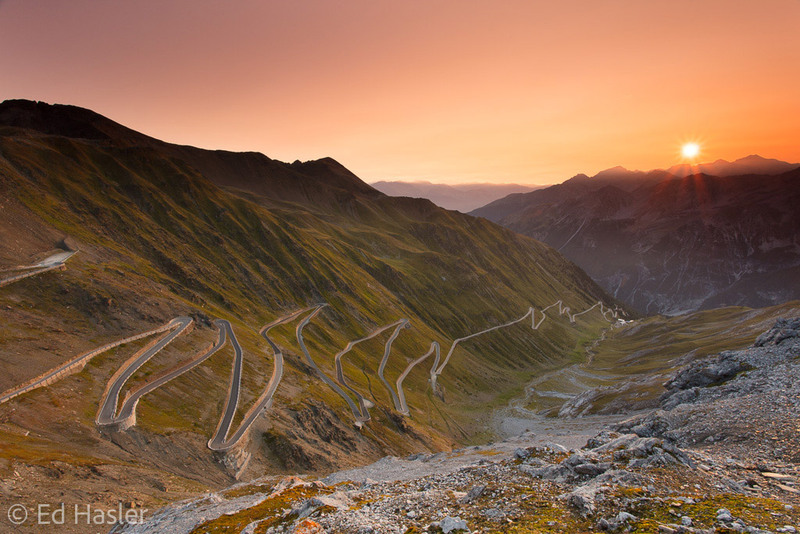 After an enjoyable day driving, exploring and taking photos, I headed back to the top of the Stelvio, via Bormio. 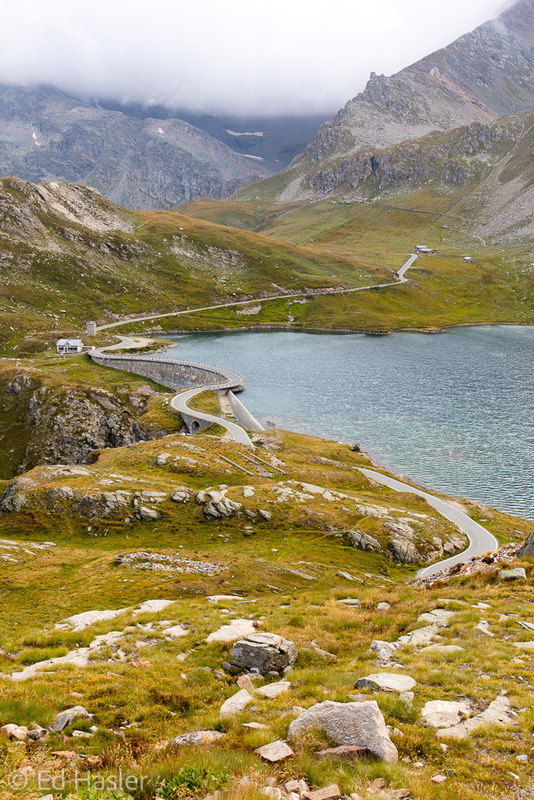 Next on my itinerary was a long drive to the Grimsel Pass. I had booked a hotel at the top for two nights so I could spend some time taking photos there. 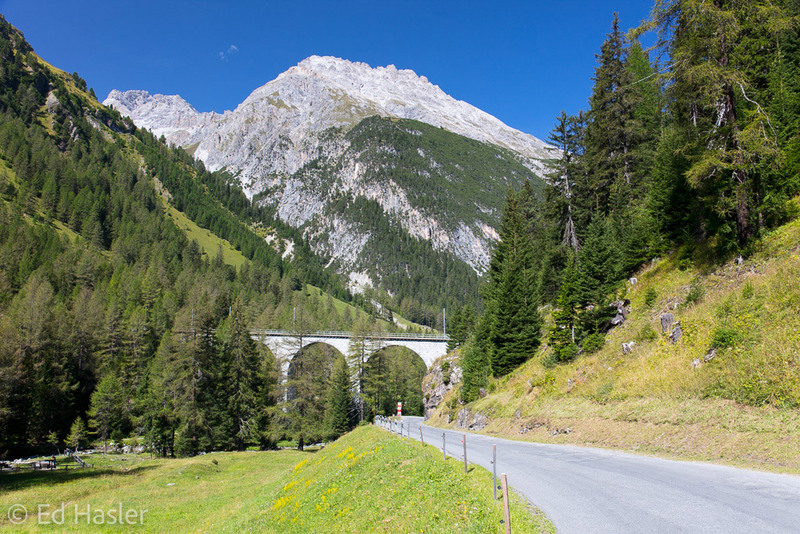 My route took me through Livigno, so I took the opportunity to fill up with cheap petrol, and then headed past St. Moritz and over the Albula Pass before heading over to the San Bernardino Pass. 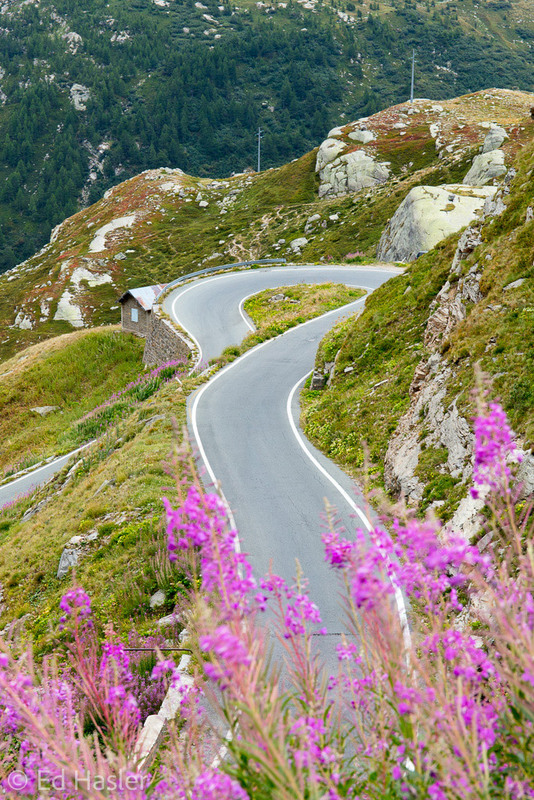 This is another of my favourite passes, and has some lovely sweeping roads with stunning scenery. Unfortunately, the good weather that I’d been enjoying until now was going to come to an end! 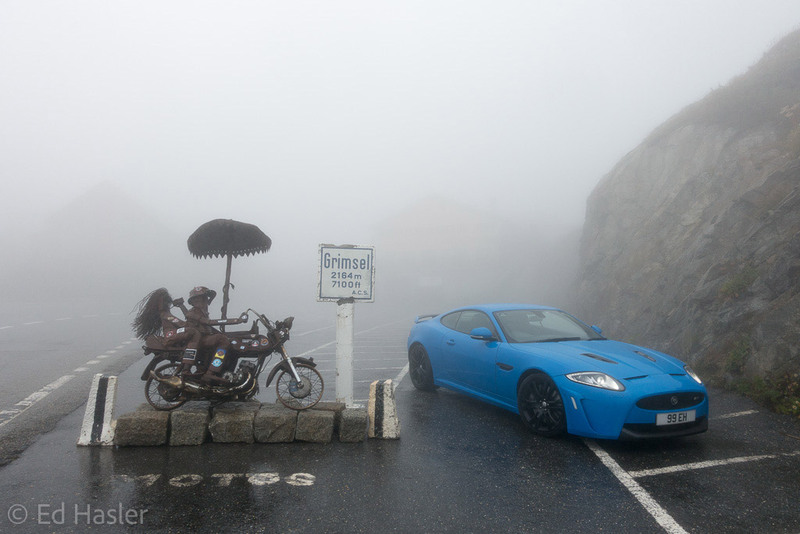 As I headed up the Furka Pass, the clouds started to draw in. 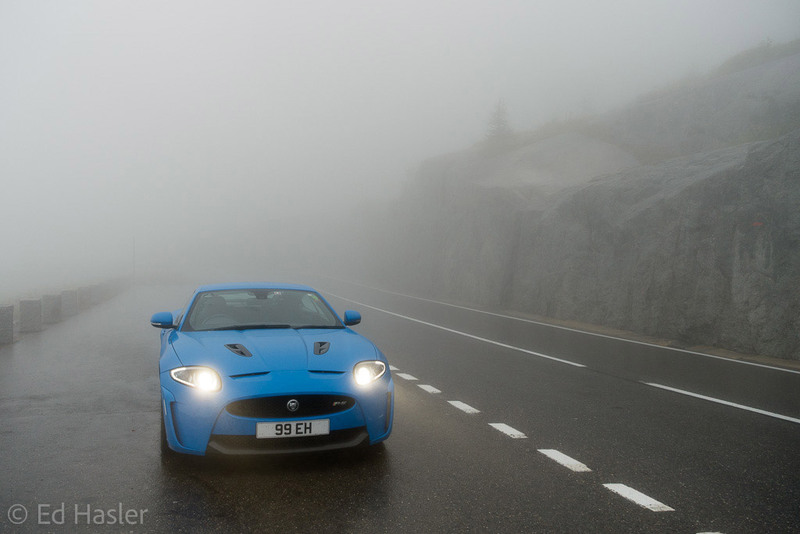 As I reached the top I could see the top of the Grimsel Pass hidden in the mist. I wasn’t too worried, as I was going to be here for 2 nights, and surely the weather would improve during that time. However I was wrong, and the thick fog remained for the following day as well. It was also just as bad the following morning too when I had to check out and head south. This did result in some moody shots, although not quite the effect I was hoping for. But there will always be another time! 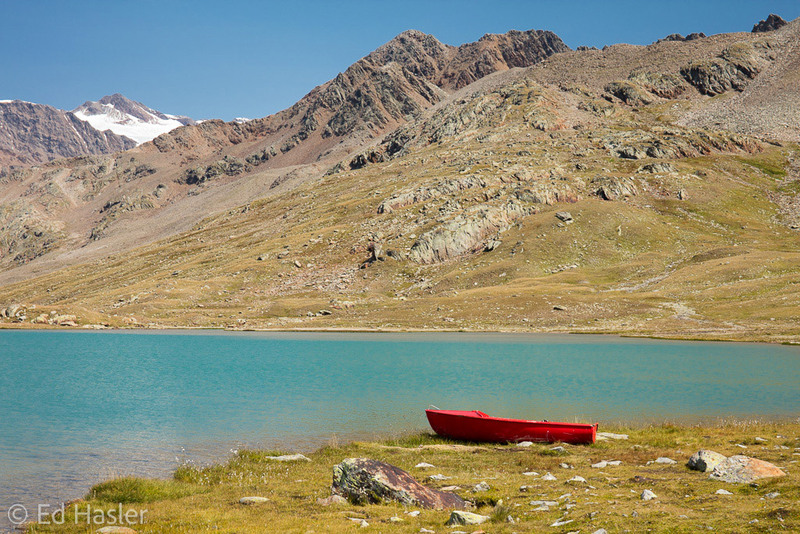 Next on my route was a long drive down to a small town called Ceresole Reale. 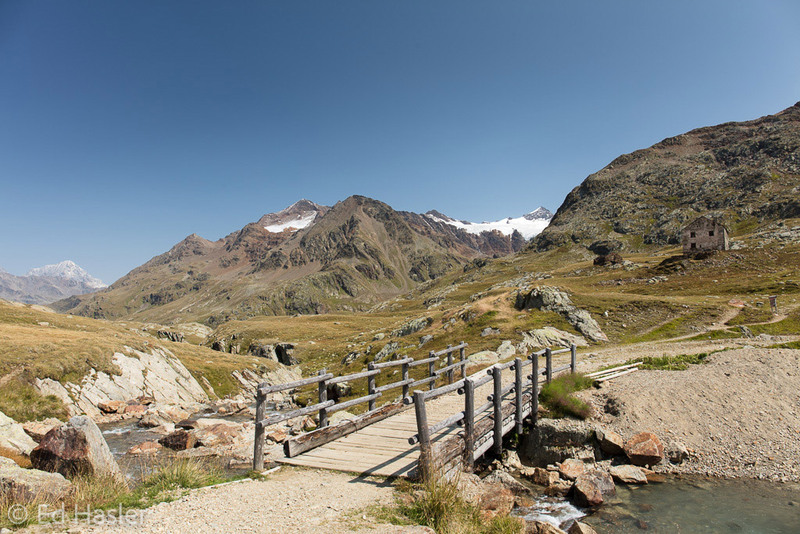 The purpose of my visit here was to drive up the Nivolet Pass (or Colle del Nivolet). This isn’t as well known as many other passes, as it’s quite out the way. It’s also a dead-end, so you have to really want to drive it to get there. Despite this, it’s actually rather famous as it’s where the final scene was filmed in the Italian Job. This is the one with the bus hanging off the side of the hairpin bend. 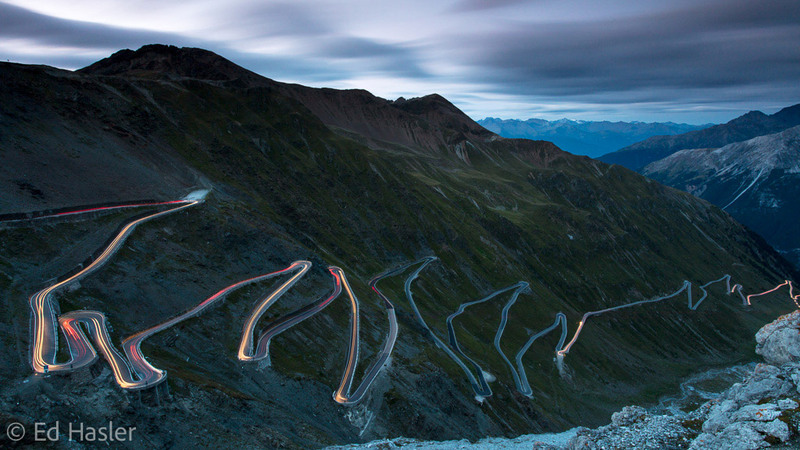 It’s also the 11th highest paved road in Europe, so involves a fair bit of driving up. 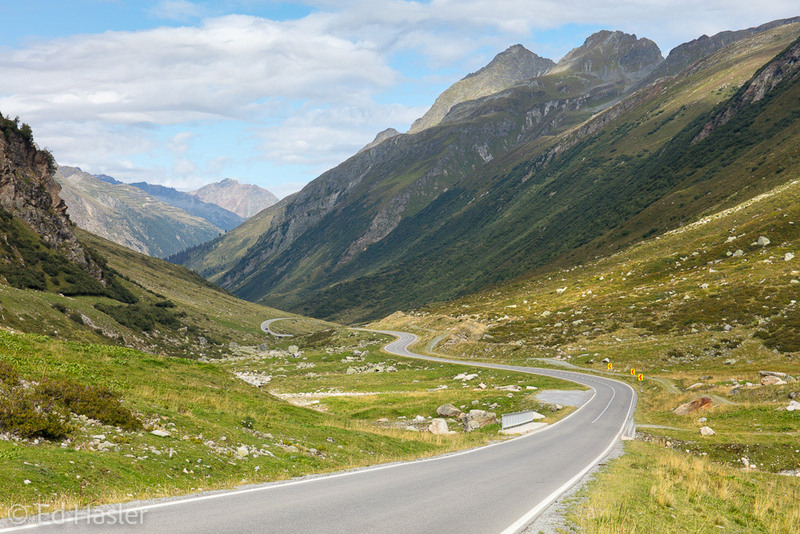 However due to the remote location, there are very few other cars or cyclists on the road. 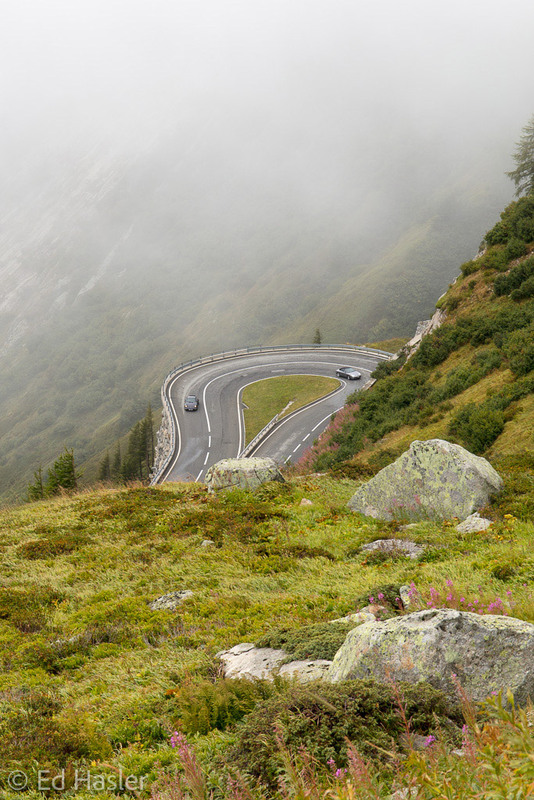 The long and twisty drive along narrow roads is well worth doing, as the views from the top are stunning. I’d now ticked off pretty much every pass I wanted to drive, and it was time to head home. 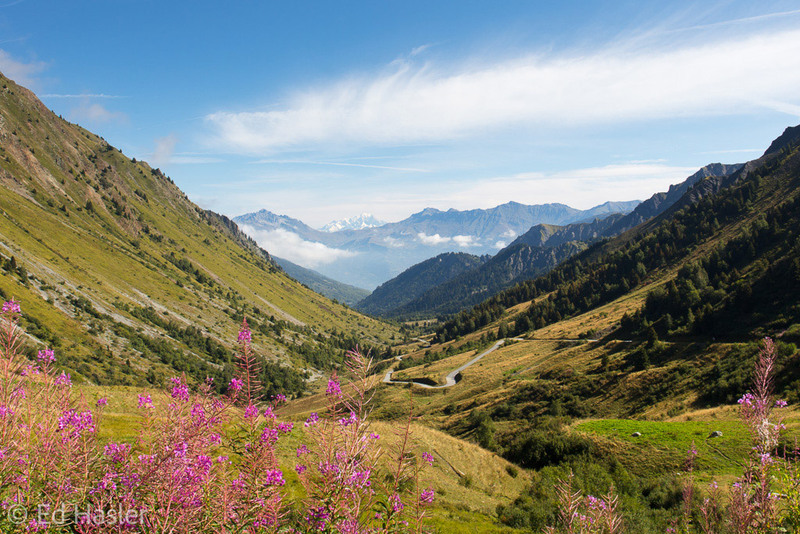 I drove through the French Alps towards Switzerland, as I was stopping off for the night near Brienz. The scenery was stunning, and I had one final location in mind. 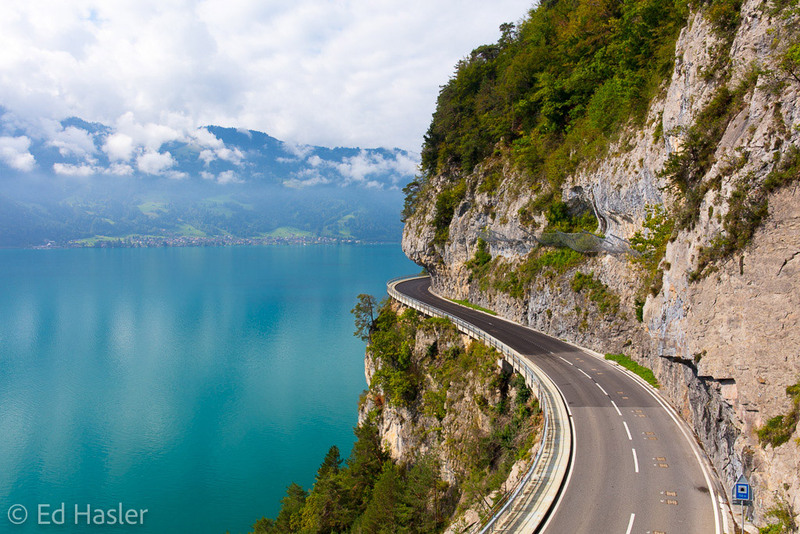 I wanted to take a photo of a lake-side road, which clings to the rock high above the water. 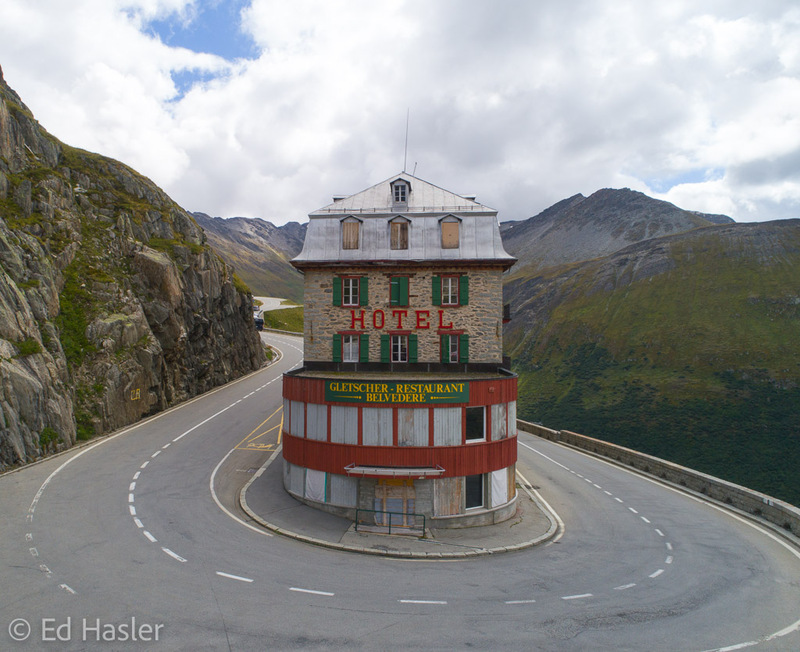 I also took a slight detour via the Grimsel and Furka Passes, to photograph an abandoned hotel with my drone. This was harder than expected, as soon after I started flying the drone I was told it was not allowed. I therefore only had a chance to take one photo, so it was a bit more rushed than I had anticipated. A selection of these photos will be available to purchase here.